Bradley J. Holly has been a director of Whiting Petroleum Corporation since November 1, 2017 and was elected as Chairman of the Board as of May 1, 2018. He also serves as our President and Chief Executive Officer. Mr. Holly has more than 20 years of experience in the oil and natural gas industry. 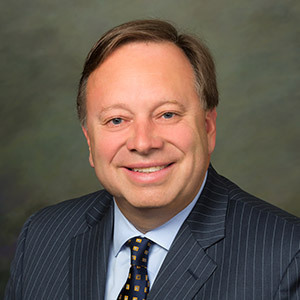 Mr. Holly previously served as Executive Vice President, U.S. Onshore Exploration and Production for Anadarko Petroleum Corporation, an independent exploration and production company. Prior to his promotion to Executive Vice President in May 2017, he served as Senior Vice President, U.S. Onshore Exploration and Production at Anadarko from September 2016. He was previously Senior Vice President, Operations for Anadarko’s Rocky Mountain Region from May 2013 to September 2016, and Vice President, Operations for the Southern and Appalachia Region from July 2012 to May 2013. Mr. Holly also previously served as General Manager of Anadarko’s Greater Natural Buttes area in eastern Utah and the Maverick Basin, which included the Eagleford Shale development in southern Texas, and Reserves and Planning Manager for the Southern and Appalachia Region. He joined Anadarko in 1997 as a reservoir engineer and development supervisor on Anadarko’s Marco Polo and K2 developments in the deepwater Gulf of Mexico. Mr. Holly began his career in 1994 with Amoco. Mr. Holly holds a Bachelor of Science in Petroleum Engineering from Texas Tech University, and he is a graduate of the Harvard Business School Advanced Management Program.